2019 FMI APPLICATION NOW OPEN! After examining evidence and analyzing the data, students will serve as expert witnesses by presenting their case in front of a judge in a trial setting where their friends and family are invited to watch. One of the distinctive features of the FMI program is the synergy and collaboration which exists among our students, college mentors and practicing forensic scientists! Our program is based within the Center for Forensic Science and Research Education – a world renowned forensic academic institution, which is operated under the direction of some of the most prominent scientists and toxicologists within the forensic science industry. In addition to forging connections with our highly renowned mentors and staff, students will also have the opportunity to meet and hear from highly accredited special guest speakers who visit the FMI program to meet students and discuss the forensic sciences. FMI students have a unique opportunity to get a behind-the-scenes tour of NMS Labs: the nation’s top private forensic laboratory. Since the 1970s, NMS Labs has been at the forefront of some of the most high-profile forensic casework that our nation has ever seen. During the visit, students will learn about infamous criminal trials that NMS has worked on while observing scientists working on authentic evidence from the 500+ cases received daily from across the country. But that’s not the only extracurricular activity – FMI students will visit a local university, have an opportunity to demonstrate their hidden talents during our annual talent show, and will take a field trip to Alverthorpe Park for a student picnic! As many high school students begin to consider college options, students accepted into the FMI program will have an opportunity to fast-track this process, thanks to the tutelage and guidance offered by our mentors who help guide students through the process. In addition to taking a field trip to a local university campus where students will meet with and hear from professors and members of the university staff, the FMI program mentors serve as a personal concierge for our students as they begin their journey towards college preparation. Whether FMI students are wondering about timelines, selecting the right school, crafting an essay, or just have general questions about college life, our mentors are an invaluable and ongoing resource for high school students pursuing higher education. The FMI Summer Science Program is now offered at no cost to attending students. As always, admission into the program will be based on merit, which is determined based on submitted application, transcript, essay, and recommendation letter. Students accepted to the program who qualify for financial aid will be provided a travel scholarship to aid in their attendance of the program. Scholarships are primarily based on family financial need; therefore we require income/tax filing information as part of the application package in order to determine scholarship eligibility. A light snack and refreshments will be provided. The Open House will begin with a short explanation of the Summer Science Program, the requirements for application, and a brief Q&A session. Next, we will head into the laboratory for a tour of our facility and to observe some exciting forensic science demonstrations! These demonstrations will offer a sneak preview of what it is like to analyze forensic science evidence, similar to how cases will be analyzed during the program. Following the laboratory demonstrations, we will regroup in our classroom for a final Q&A session where our scientists will answer final questions from attendees. Family members and teachers of prospective students are welcome and encouraged to attend! Registration for the FMI Class of 2019 is now open! 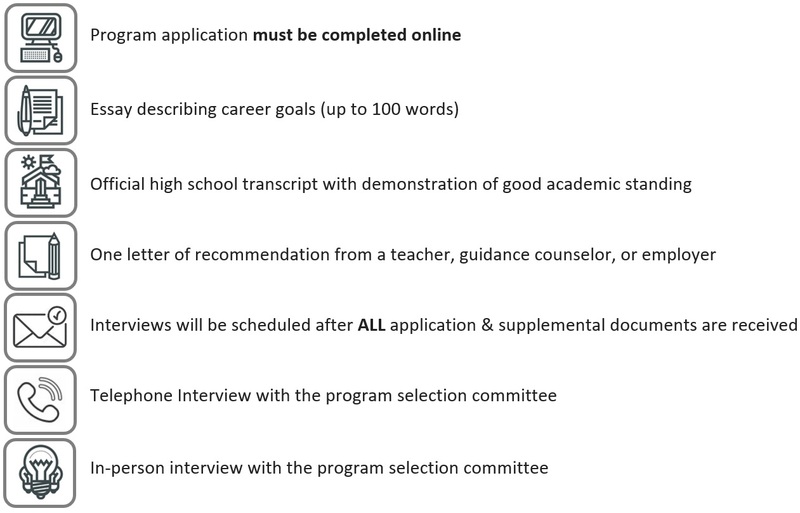 All applications and supplemental materials are due by April 22nd, 2019. Congratulations to our 2018 FMI alumnus Jingjing and her team for coming in 2nd place in the Design Thinking Philadelphia competition for their work on aquaponics! “Design thinking” is a creative and structured approach to problem solving that helps people understand and address complex needs. Jingjing accredited some of her success to the FMI program “If I wasn’t in FMI, I don’t think I would have felt comfortable in the presentation. I even shared some skills with my teammates which was helpful!!!”. 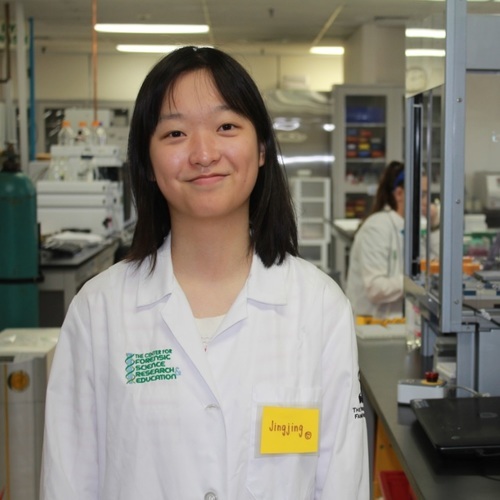 Congratulations again Jingjing; we can’t wait to see what you do next!